Somerset County Council’s Public health team is using ‘Time to Talk’ day (7 February) to encourage everyone to have a conversation about mental health today, and every day. Mental health affects around 70,000 people at any one time in Somerset and it’s estimated that nearly one in four adults experience at least one mental health issue in any given year. Time to Talk day is a great way to break down stigma and start a conversation around mental health. 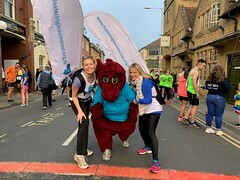 The Somerset Time To Change project, run by Mind in Somerset, is supporting community champions to put on a number of events across the county. Councillor Christine Lawrence, Cabinet Member for Public Health and Wellbeing at Somerset County Council, said: “Time to Talk day encourages everyone to ask their friends, family and colleagues those all important ‘how are you?’ questions. Really listen to their responses and if you feel you aren’t getting their true answer, ask the question again. “Sometimes it’s easier to talk side-by-side rather than face to-face-so chat whilst doing something else such as walking, washing up or stuck in traffic. Always listen but don’t try and fix it. Somerset County Council’s Wellbeing Service has put their efforts behind the day as well. There will be lots going on for staff throughout the day including ‘mindful focus’ – learning how to steady the mind’s chatter and become more focused, relaxing massage sessions, mindful listening, guided runs, colouring in sessions, desk yoga, learning the importance of the link between health and nature with even a visit from therapy dog, Roo. Also, staff volunteer Wellbeing Ambassadors will be on hand throughout the day to have chats about mental wellbeing. For a list of events taking place across Somerset, check out http://www.mindinsomerset.org.uk. • It is estimated that there over 4,600 people on GP registers with a serious mental illness, while 46,000 are recorded as having depression. • Lifestyle end environmental factors have a huge part to play in maintaining health and wellbeing. These include areas such as smoking, diet, exercise, social isolation, and alcohol abuse.